Help Center Knowledge Base Nacsport Advanced ( All Articles ) How to capture video in Nacsport through a SDI signal? How to capture video in Nacsport through a SDI signal? In this article, we will show you how to capture a signal from an SDI source into your computer. The process is made through an SDI to HDMI converter, which is connected to an AverMedia capture device and then to the computer with Nacsport. Video coordinators in National field hockey teams have traditionally recorded games with their own video cameras. The Hockey International Federation (FIH) has recently decided to provide teams with one video signal for all teams. By doing so, the receiving video and analysing becomes easier. The Spanish Women’s field hockey team participated in the Fintro Hockey World League Semi-Final in Brussels in June, an important tournament to qualify for the World Cup. Alongside the #RedSticks, there were seven other teams with the same analysis needs as the Spaniards. 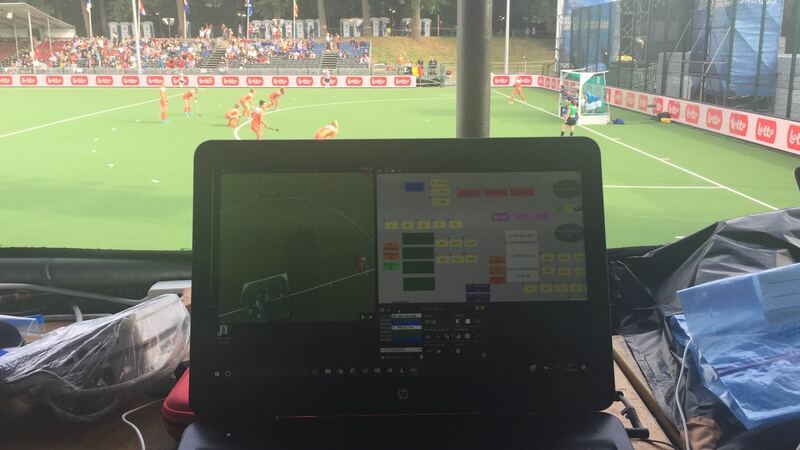 As stated before, the FIH has provided the teams with a video signal that is given through an SDI source. To receive that signal in his computer to work with Nacsport, Raul Gomez(Spanish team performance analyst) has used this SDI to HDMI converter change the signal. 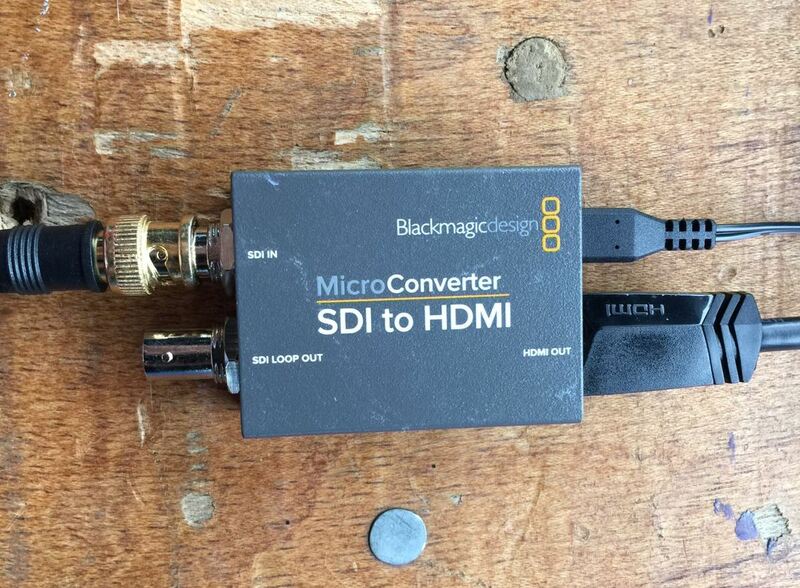 This BlackMagic SDI to HDMI converter can be purchased online. Here’s a link to order it on Amazon. With the converter, the SDI signal can be transmitted through a HDMI connection, so we can connect it to our AverMedia capture device and then to the computer. If you do not know how to use the AverMedia capture device, we wrote this post about how to capture in real time with AverMedia devices some time ago. 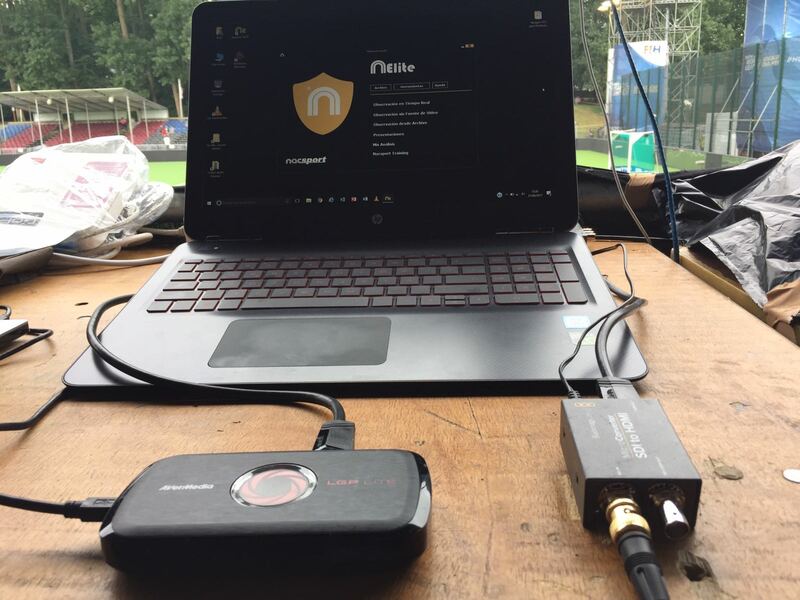 Once the device is connected, we have the whole chain ready to work with Nacsport, as we will be able to receive the video in our computer. As you can see, Raul is receiving the signal provided by the FIH live. In the following picture, you can see how a penalty corner is being recorded by the video camera in the tower behind the goal. Thanks to this connection, the #RedSticks analyst can register the game easily in real time. 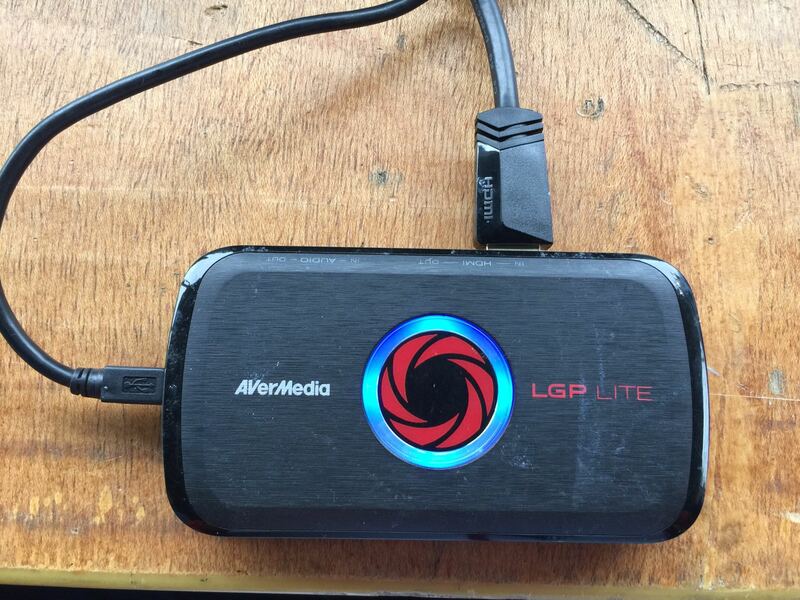 * Nacsport can only confirm the proper operation of the Blackmagicdesign MicroConvert SDI to HDMI and the AverMedia devices LGP LITE GL310, Live Gamer Portable C875 and Live Gamer Portable 2 GC510. If you own another model, please contact us at here to create a support ticket .